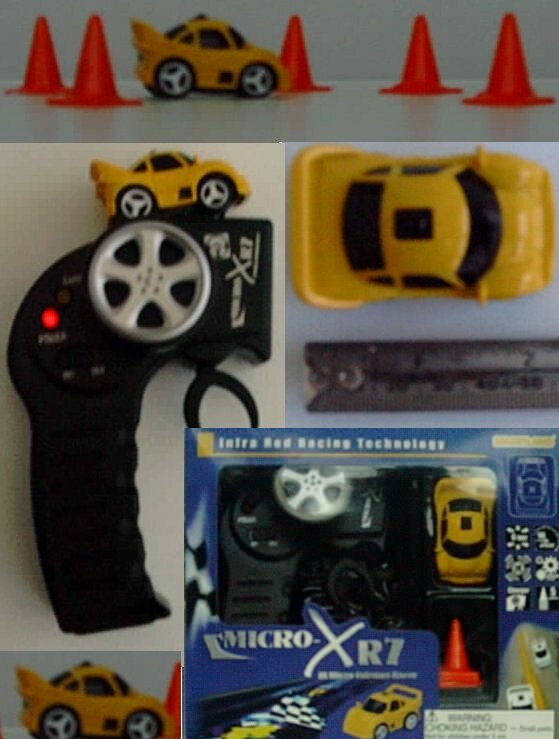 Measuring just 5cm (2in) the micro xr extreme racer is probably the worlds smallest remote control car. You get the silver infra red extreme racer with built in rechargeable battery that recharges in minutes and never needs replacing. The pistol	grip multi-function controller features rapid charging station with 6 way directional steering wheel and speed trigger. Comes with 5 orange cones to create your own slalom race course. This a silver remote control car, get one of the yellow rc cars for fun races. Micro XR7 Extreme Racer Silver text, images and video are copyright.